A race for the best three-year-old middle-distances types in Australia, the Caulfield Guineas is a punting highlight every year. Worth $2 million, the Caulfield Guineas is a major stallion-making race and in turn, punters get to bet on the best thoroughbreds Australia has to offer. We will have final-field tips for the Caulfield Guineas when it is released three days prior to the running, however, punters can bet into the market around four months before the Caulfield Guineas is run. 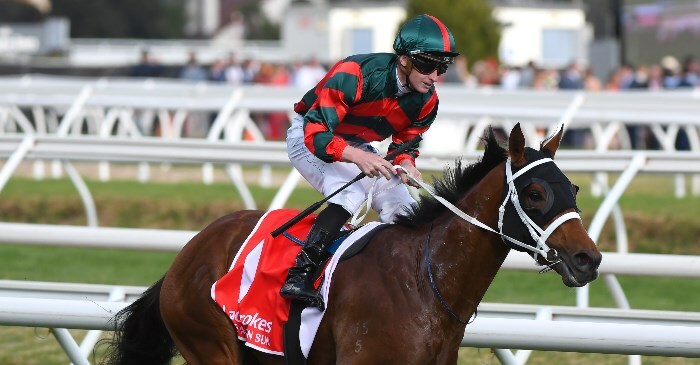 Bookmakers offer a comprehensive 2019 Caulfield Guineas market with all the major runners covered. Bookmakers don’t currently have any odds available for the 2019 Caulfield Guineas but we will update them when they are released. The following bookmaker are offering Caulfield Guineas bonus bet deals. The field for the 2019 Caulfield Guineas won’t be confirmed until October 9 when RISA releases the final field, barrier draw and weights. The Caulfield Guineas field consists of 18 runners and six emergency runners in case of scratchings. The field is determined by prize money, class and various other handicapping factors. It takes a good horse to win the Caulfield Guineas and there have been many favourites win in recent years. The Autumn Sun was a popular elect when winning in 2018 and the likes of All Too Hard, Helmut and Weekend Hussler attracted big bets in the market. It’s not subject to many upset results but Mighty Boss bucked that trend in 2017 when winning at triple-figure odds. It didn’t do much following that run, so it was a flash-in-the-pan performance from the three-year-old. The best form guides for betting on the Caulfield Guineas is to follow the form from the autumn prior. The Caulfield Guineas is run early in the spring so there isn’t much time for the three-year-olds to show off their talents. Punters will need to look at autumn form out of Melbourne and Sydney as the best form guides. Punters can livestream the Caulfield Guineas at Beteasy. The Australian-based bookmaker shows all Australian and New Zealand racing live and all you need to do is have a positive account balance. To live stream the 2019 Caulfield Guineas, sign up with Beteasy. Below are the dates, times and betting schedule for the Caulfield Guineas and the nine supporting races on the big card. The Caulfield Guineas is one of 10 quality betting races, which also includes the Group 1 Toorak Handicap, Thousand Guineas and Caulfield Stakes. The first Caulfield Guineas was run in 1881, which makes it one of the oldest age-group races in Australia. Originally run at Flemington during the War-time period, the Caulfield Guineas has since made its home at Caulfield and it has been the starting point for many top echelon thoroughbreds. Known as a stallion-making race, the Guineas has been won by many of Australia’s best stallions, including the likes of All Too Hard, Lonhro and Redoute’s Choice. That’s not mentioning the likes of The Autumn Sun, Tulloch, Vain, Manikato and Surround, which are all past and present champions of the track. It has always raced over 1600m since 1881 and it was given Group 1 status in 1979, when many of Australia’s top races became Group 1 level. That year, it was taken out by Runaway Kid after Manikato had won the year prior. It’s a good race for future betting guides, including the Victoria Derby. Caulfield Guineas winners have gone on to win the Derby on 16 occasions, but the most recent came in 2002 with Helenus.